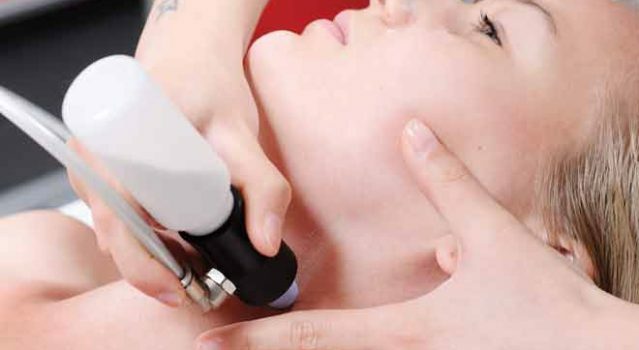 The vacuum pressure of the machine increases blood flow to the superficial layers of the skin. Partial skin ablation to the stratum corneum layer is desirable. A number of factors determine the degree of exfoliation. Vacuum pressure, crystal flow, the speed and movement of each handpiece pass, as well as the number of repeated strokes over the same area of skin.